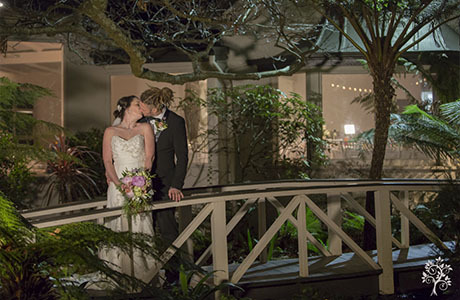 Poet’s Lane Receptions is one of the finest one-stop wedding venues in the magnificant Dandenong Ranges. Within one-hour driving from Melbourne CBD, it can seat up to 170 guests comfortably in the gracious dining room. Poet’s Lane Receptions has two options for the wedding ceremony. 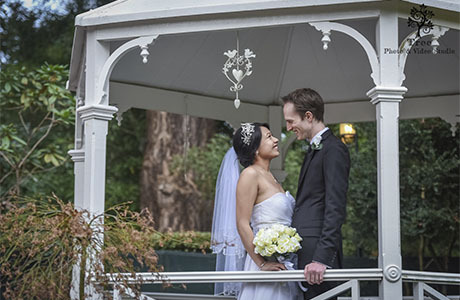 The stunning outdoor garden Gazebo together with white chair, cascading waterfall and ornamental bridge is always popular for Dandenong Range weddings. 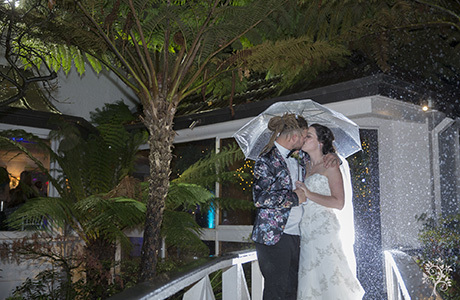 If the weather turns wet, the chapel could be an option for the bride and groom. It comes with a spectacular stained glass window and the high ceilings lit by three dazzling crystal chandeliers. Set in the beautiful mature Oak trees, Poet’s Lane Receptions has the diverse opportunities for wedding photography. 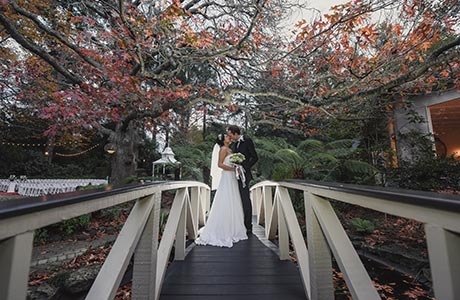 The timeless lane-ways, picturesque bridge and the all season gardens are just a few options for bride and groom to take their wedding photos. Poet’s Lane Receptions has the fantastic accommodation onsite. It can pamper bride, groom and bridal party from the night before you wedding. With everything the bride and groom need all stay within Poet’s Lane Receptions, it will allow your wedding day run seamlessly and stress free. Our wedding photographer and cinematographer will take that ease and elegance to make your wedding day into the most memorable day in your life. From a Melbourne wedding photographer’s perspective, Poet’s Lane Receptions is one of our favorite wedding reception venue. Should you have any questions to plan a wedding at Poet’s Lane Receptions, please do not hesitate to contact us for the suggestions and information from a wedding photographer’s view. © 2018- Tree Wedding Photographer Melbourne. All Right Reserved.